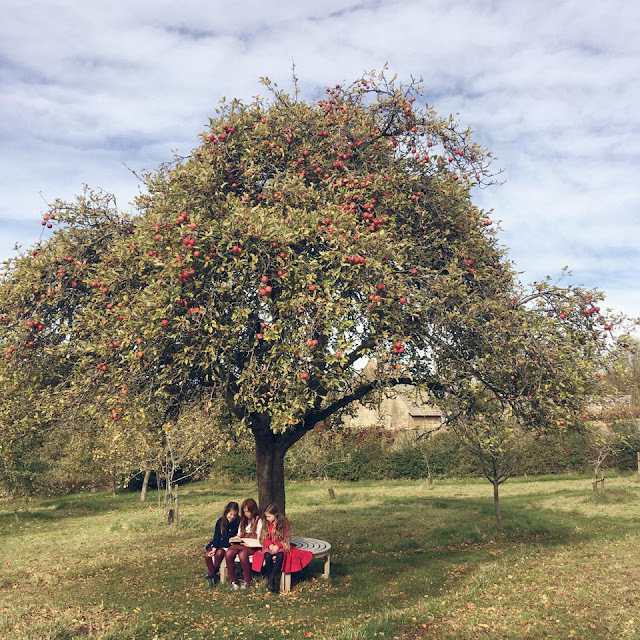 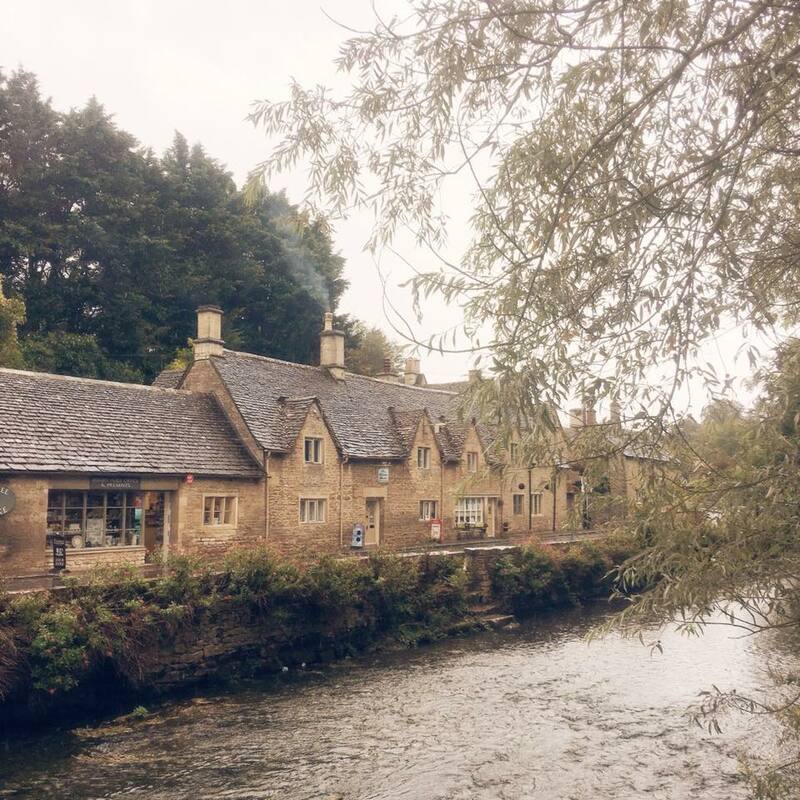 It started off with a roadtrip with my best friend to a harvest country brocante, followed by sitting in my car in a tesco's car park, eating lunch and then a random idea to drive to Bibury. It was a raining and misty day and my best friend and I sat in the tea room, eating tea cakes and drinking hot chocolate and talking about how we would love to bring the girls back here with us next time and how we can imagine them walking around the village with chimneys smoking and mist on the horizon. 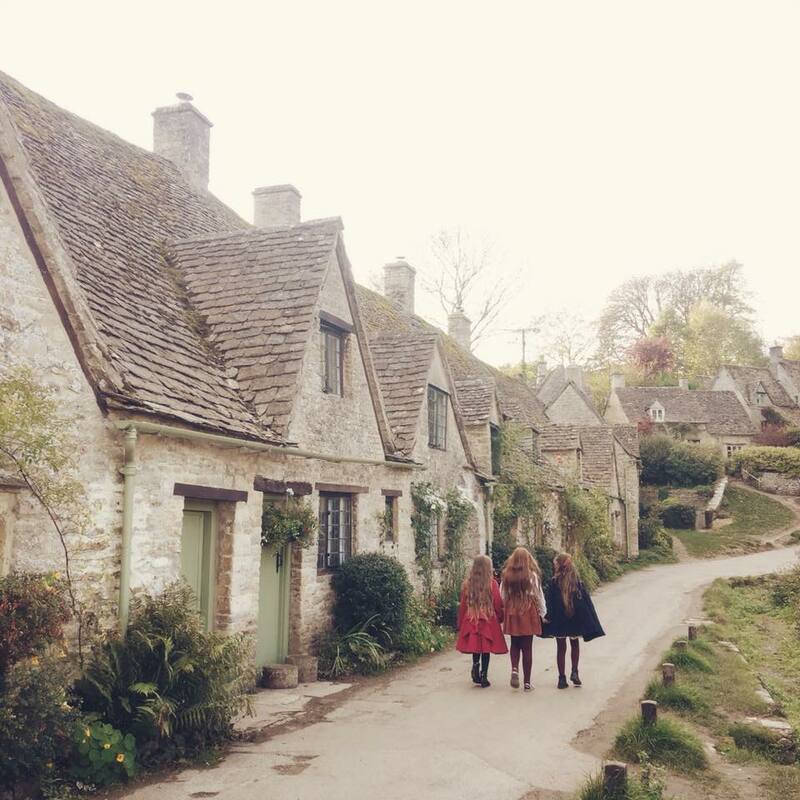 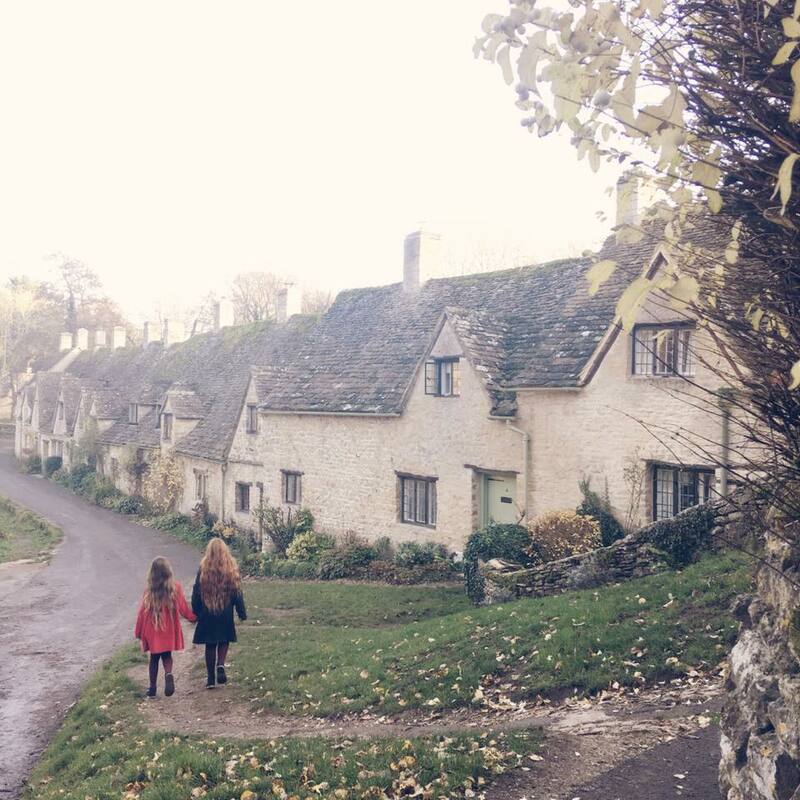 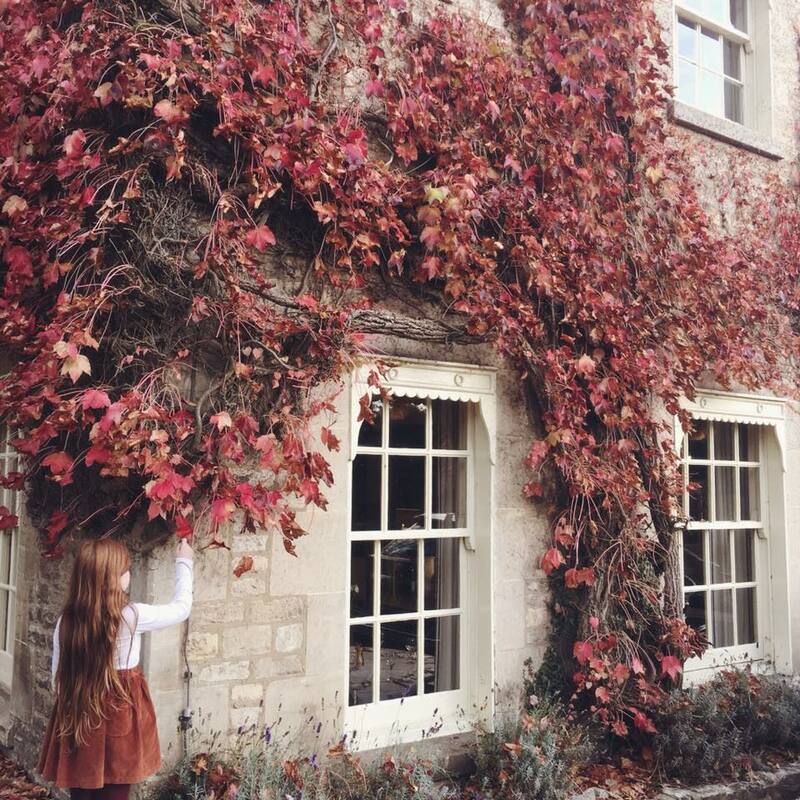 After a few weeks, we took a roadtrip to Snowshill and Bibury with the girls and it was just magical. The sun shined bright and we didn't get our Autumnal, misty day so we decided to go back a few weeks later. 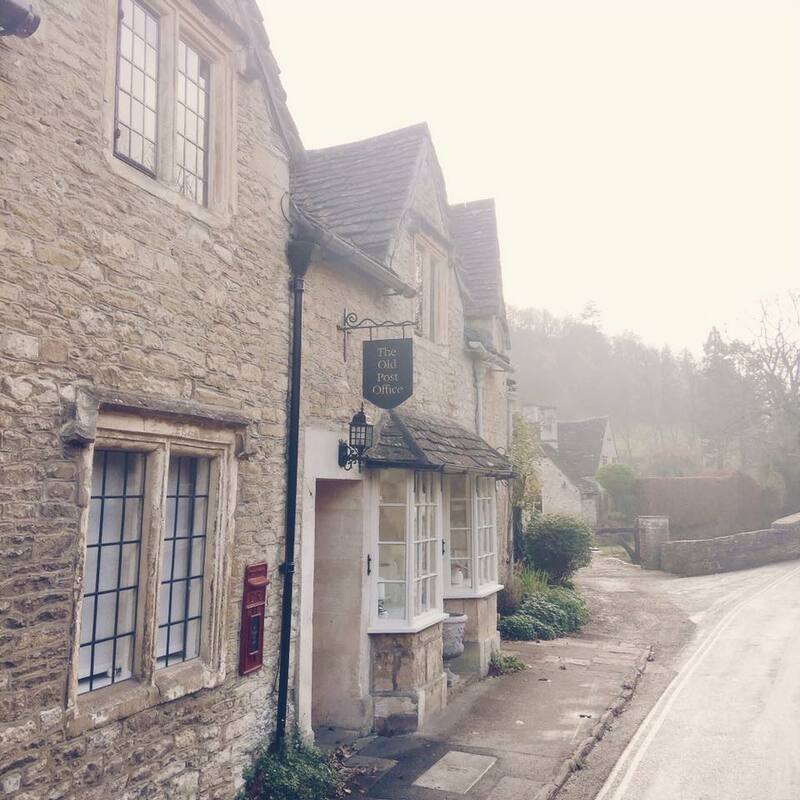 We drove there in the beautiful mist to only get to Castle Combe in the bright sunshine but we embraced the sun. 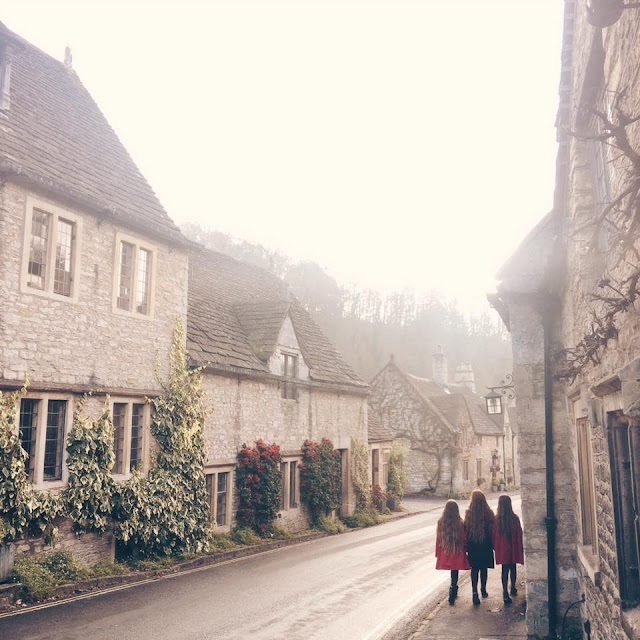 The sun shining through created a magical haze. 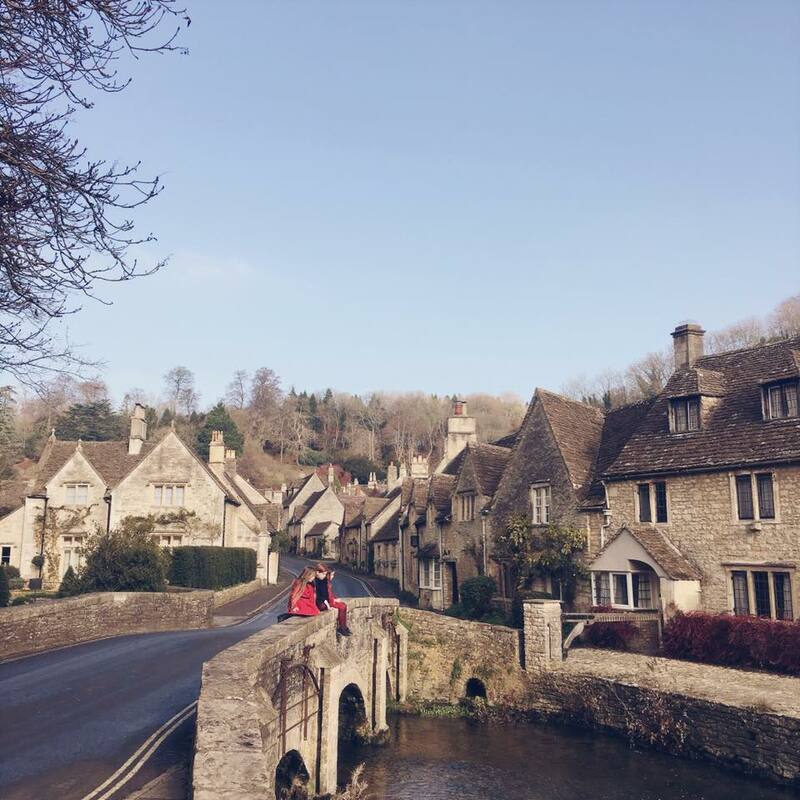 We then drove all the way through the middle of the Cotswolds, falling in love with pretty cottages along the way, back to Bibury where we spent far too long at Arlington Row and sat and ate scones in the tearoom. We have decided to make it a monthly roadtrip. 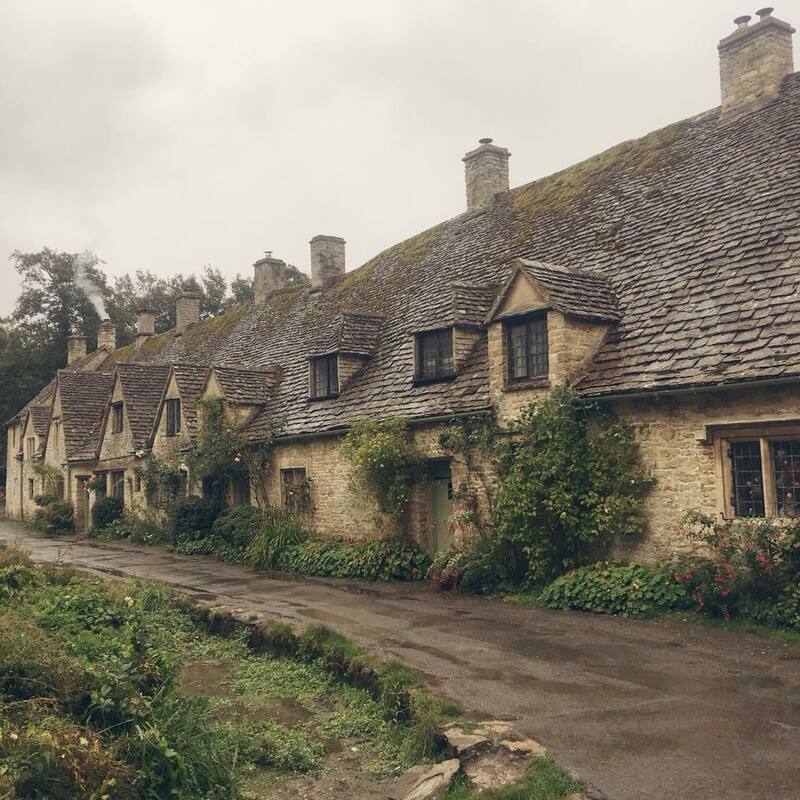 We are hoping to go again just before Christmas to see thatched cottages with Christmas trees in the window and lights on village trees. And then wisteria and roses with little wooden gates. 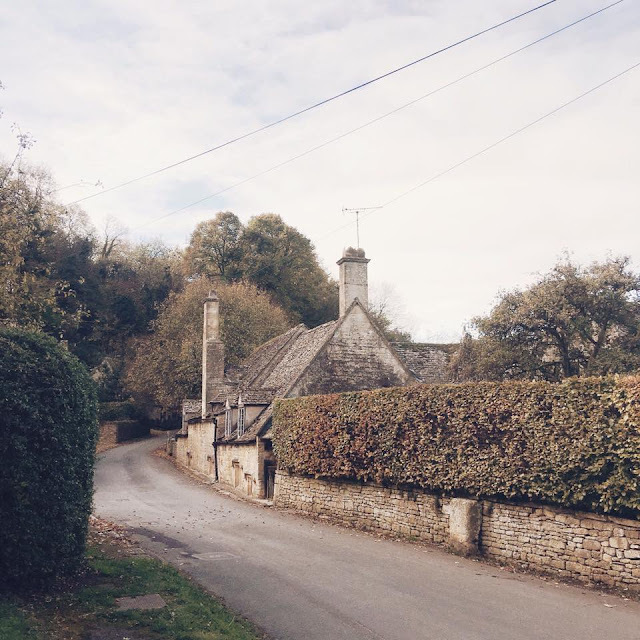 Driving through the Cotswolds is like entering a magical land. 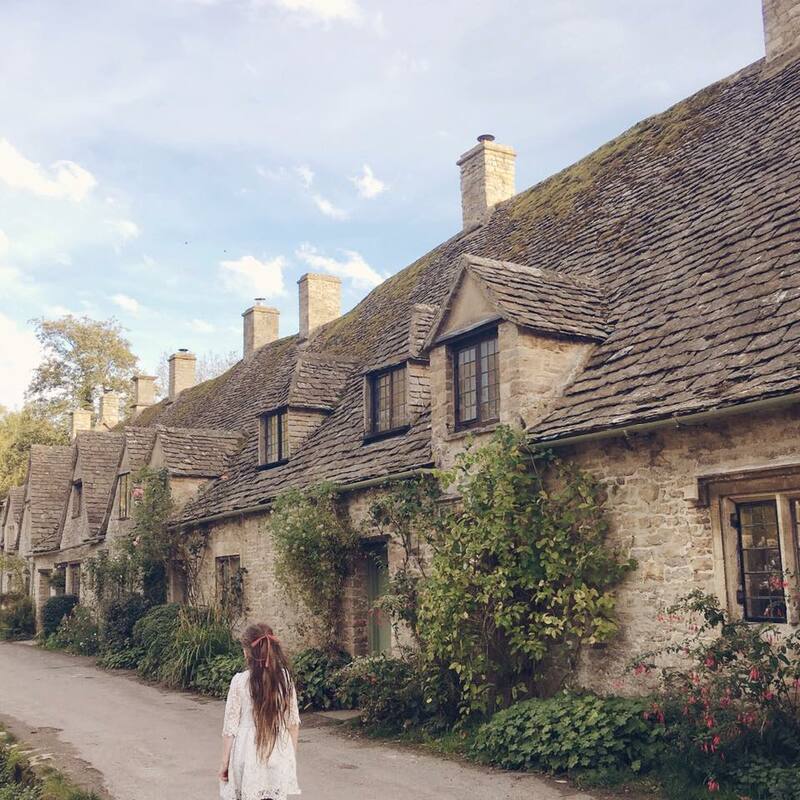 I am so excited for our next trip now!